As part of our international programmes, Kilcooley Women's Centre offers conversational Spanish and French. The new academic year in September 2017 will include a Spanish class. 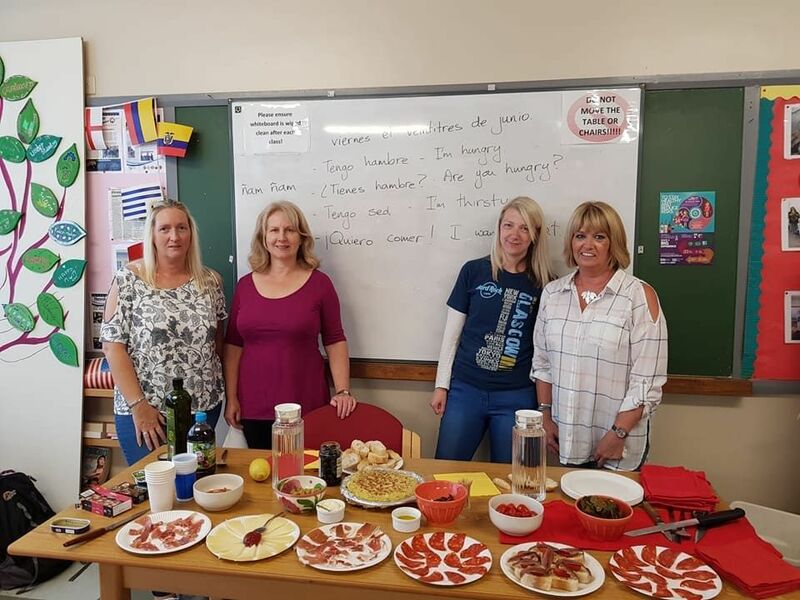 The tutor, experience Languages teacher, Gerard, offers a fantastic relaxing class, catering from beginner to improver, with everyone wishing to improve their ability to speak the language when abroad. This project also links to our Erasmus+ transnational work, where we are encouraging people to take up a second language. Gerard is known to spoil the students, with tapas mornings and food tasting. The Spanish class is the inspiration for one of our future 'Kilcooley Travel Club' settings, where we will take students to Spain. This also serves as a holiday club for people who live alone, families are grown up or are widowed and would welcome some company on a trip abroad.